Our marketing and sales services are supported by our certified veterinarians and sales personnel who cover each territory in Malaysia. > Provide product information and market trend to customers. > Coordinate technical services required by customers. > Ensure completion of customer sales order (e.g. from order processing, ensure timely delivery to correct product usage). > Feedback on customer satisfaction via weekly field visit report and customer survey. 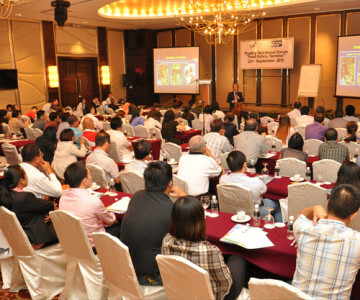 > Organize educational seminars, technical forums, conferences and roadshows. > Invite foreign technical experts for seminars and training. > Promotion campaigns to create customer awareness. > Participate in exhibitions (e.g. 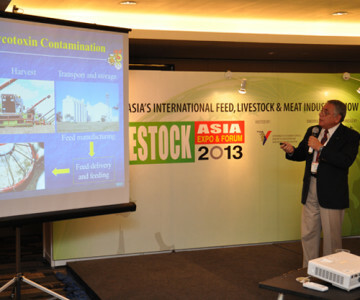 Livestock Asia, Pet World). > Provide product and technical updates via advertisements, internet and social media, magazines, brochures and newsletters. > Routine farm visits, flock/herd health monitoring. > Disease monitoring, investigation and control. > Improve livestock production performance and disease prevention. > Provide technical solutions and professional recommendations. Monitoring of vaccination equipment efficiency. Feedback and compiling report to customers.